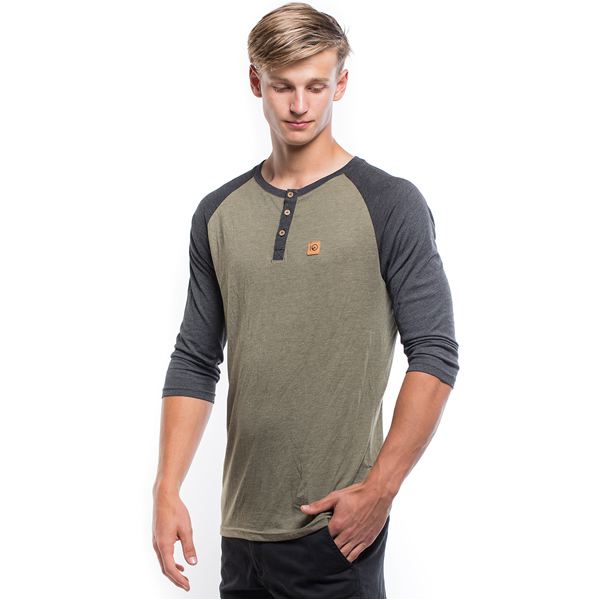 Eco-Blend Standard 3/4 Sleeve Henley | tentree | Shop Eco-Textiles! Tencel® is the Lenzing AG company’s patented form of lyocell; a material that utilizes sustainable tree farming and minimal waste processing. This certified fabric is made from the pulp of eucalyptus trees, which require little water and no pesticides or fertilizers to grow quickly. The pulp is processed using a non-toxic solution, and 99% of the solution is recovered and reused to process more materials. Tencel has a naturally white color, so no bleach or chlorine is required before the dying process. When you're on-the-go, you need a basic you can count on to keep you looking cool, and staying warm. The Standard 3/4 Sleeve Henley by tentree is sure to be your first pick. 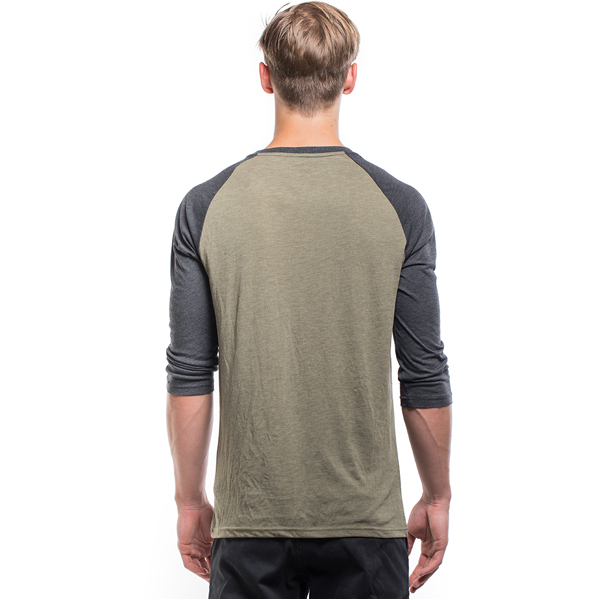 This fresh take on the 3/4 sleeve top is made from an ultra-soft combination of organic cotton, recycled polyester, and TENCEL– a highly sustainable material made from eucalyptus. Finished with a three-button placket made of coconut fibers, with cork branded patch on the left chest. tentree items tend to run small, sRead Moreo order a size up! Unworn, undamaged items in their original packaging can be returned within 30 days. tentree believes that their products can inspire a new wave of conscious consumers. Their commitment to social and environmental responsibility, transparency in production, and growing a global community has guided tentree since its beginning in 2012. They aim to educate each and every tentree consumer on the incredible impact that they are capable of. Dedicated to innovation in sustainability, tentree continues to grow their tree planting and sustainability efforts through partnerships with nonprofits worldwide. For each tree planted, they ensure that tree has a targeted, lasting impact in its region. tentree employs the local community to help propagate seedlings to be later used for planting, as well as clear planting sites of debris to help the seedlings grow. Through these initiatives, fifty trees (5 products!) can provide one local worker with a full day of employment, contributing to growing local economies in these regions. When you shop tentree, you aren’t just planting trees. Each tree has an impact far beyond the environment, providing communities with jobs, sustenance, and a meaningful future. The impact of every seedling will be felt today, tomorrow, and for generations to come.